Ho-ho-ho, Christmas films ahoy! Without a doubt, Christmas (well, except for you Scrooge’s!) is the most wonderful time of the year! 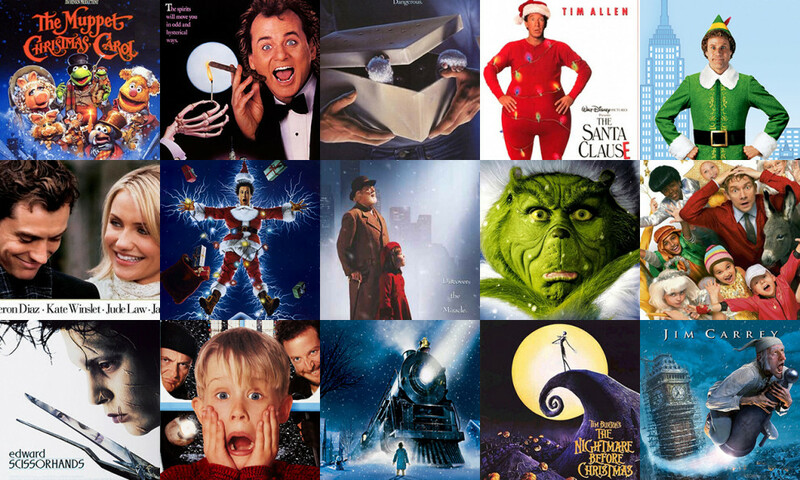 Hang onto your sleigh bells, we’ve assembled 25 Christmas films that will soot everyone. So kick-off your boots and warm your chestnuts over one of these Christmas films! The mother of all Christmas films! The cheeky Christmas about a young boy who gets left behind on Christmas is sure to jingle your bells this holiday season! It simply isn’t Christmas without Tim Allen accidentally knocking-off Santa to take the leading role in this Christmas comedy fantasy family film! There have been many adaptions of this classic Christmas tale, but this is THE ONE to see. Performed by the iconic muppets, this rendition is not half bad! We’re not lying, it is indeed a Christmas film! When a Christmas party goes balls-up, it’s up to Mr Bruce Willis to save the day. Terrorists, tinsel and towers – yippee-ki-yay! If you’re still pining over Halloween, this Christmas horror will definitely raise your spirits! Family tiffs cause young Max to lose his festive spirit, which in turn unleashes Krampus, a demon who punishes naughty children. Now known as one of the most popular Christmas films, is this charming tale of a man raised by elves! This film is packed with santa-mental value, as Buddy the Elf as travels to New York to be reunited with birth father. A film for those with resting Grinch face! Dr Seuss‘ mean, green, Christmas-hating machine seeks to ruin Christmas for the citizens of Whoville. Indeed, this film about a caped crusader is set at Christmas! Feast upon Tim Burton’s concoction with all the Gothic, kooky trimmings! This film will melt your heart! A flaky dad dies in a car accident, only to return as a Snowman, giving him a final chance to build his relationship with his son. Whatever you do, don’t watch this film after midnight! These tiny terrors are set loose on Christmas eve after a boy fails to adhere to three crucial rules. Christmas is a time for magic! Based on Chris Van Allsburg book, a little boy takes a magical train ride to the North Pole. The one and only Arnold Schwarzenegger stars in this Christmas comedy. You’ll be back for more as Arnie plays a clueless dad battling his way to buy his son the best Christmas present of the year. Ever wish you could totally skip the Christmas season? The Kranks do just that, until. their daughter decides to come home for Christmas, meaning they have to deck the halls asap! There are few who deny that this is indeed a Christmas film! This stop-motion stunner featuring the talents of Danny Elfman follows Jack Skellington, a disenchanted Halloween-star who decides to give Christmas a spook-tacular make-over! Deck the halls with boughs of neighbourly rivalry! New resident Buddy decides to decorate his house so it can be seen from space, much to his neighbours dismay. If you’re wanting to warm up winter with a rom-com, this film follows fictional couples throughout the Christmas season. If getting together with your family is what fills you with fear, this film will make them seem not so bad in comparison! Are you dreaming of a white Christmas? this tale involves a snowless Christmas and stars trying to save an Inn! This Christmas film will melt your heart! A boy befriends a snowman who takes him on a Christmas adventure! In this re-make of the 1947 smash-hit, a lawyer and a little girl must prove that a man claiming to be Santa Claus is the real thing. This is a Christmas comedy concocted by Netlfix! When a plan to capture Santa himself falls down the chimney, Christmas needs to be pulled out the gutter,the kids join forces with a somewhat jolly Saint Nick and his loyal elves to save the holiday before it’s too late. Siblings can often be like chalk and cheese! Two siblings definitely have a different take on how to run their (inherited) company’s Christmas party! who winds up in a twisted version of the original! Hold on for deer life, because this Christmas vintage is heavy on the feels! This 1946 fantasy film is probably THE defining Christmas film. It follows a banker who slips into depression. Questioning his will to live, he is visited by an angel who shows him the importance of his life. This modern day fairy tale tracks a gentle man found in isolation with scissors for hands. He is found and brought into a new community, which starts off well, but descents into chaos. Looking for a fun and inexpensive way to entertain colleagues and clients this Christmas and New Year? Quiz Coconut Trivia nights are the perfect festive trivia solution. For instance, they’re fun, cost-effective and hassle-free! At a typical Quiz Coconut event, we serve up all the trimmings!